It's closing weekend for Monarch Mountain. Celebrate the end of the ski season at Ski Town Condos vacation rentals. 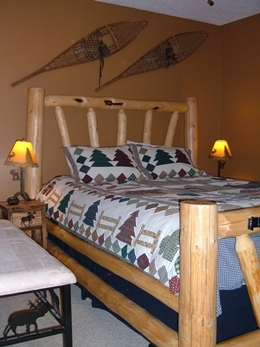 Ski Town Condos are a great Monarch Colorado lodging choice, offering a Ski & Stay package for $79 per person, quad occupancy, till April 14, 2013! Package includes 1 night lodging in a 2 bedroom condo at Ski Town Condos, and 4 adult lift tickets for Monarch Mountain. Enjoy Monarch Mountain's 7th Annual Parking Lot Cook-Off & Tailgate Party this Sunday, April 14. Guests are encouraged to whip up their best eats, competing for next year's season pass among goodies...judged on decor and spirit, so spiff up your rig and bring your appetite!